Average 3.8 / 5 out of 24 total votes. Long ago, there were people who stood upon the earth with their heads held high. They never bowed to anyone because of their indomitable spirit. They were capable of controlling wind and lightning, and conquering dragons and serpents. They seemed strong enough to split the earth and shatter the stars with their fists. They traveled throughout the land and called themselves Magi. Eventually, one of them would become a Supreme Magus! These men are the ancestors of human beings. Their blood is what we all share today. Qing Long is the former strongest man in the world. He traveled through space and time and was reborn as Ji Hao in the Fire Crow Clan of the Southern Wasteland. It’s a complicated world. Forces from both inside and outside of the clan want this young and talented boy to die. Under great pressure, Ji Hao makes a deal with a mysterious man, who resides in his spiritual space, never showing his real face. He gains two drops of blood from a dragon and phoenix. Afterwards, Ji Hao becomes increasingly more powerful. 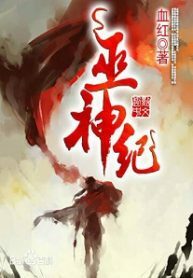 You’re reading chinese web Novel “The Magus Era” on BOXNOVEL.COM. We will have 5 Volumes / 2053 Chapters to completed this. Thanks!